Constructed between 1970 and 1972, this Modernist super-block development in the downtown financial district was built as the Atlantic Richfield Company’s (ARCO) world headquarters. The 4.2-acre, U-shaped complex spans the southern slope of Bunker Hill and is comprised of two high-rise towers flanking a low-rise building, fronted by a civic plaza. Designed by Albert C. Martin and Associates, the International-Style towers are clad in polished panels of Vermont Green granite interspersed with panes of bronze glass. 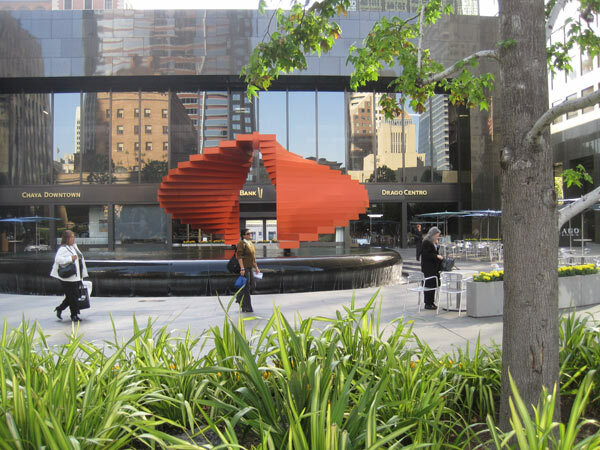 The plaza, designed by Sasaki Walker & Associates, is paved in the same dark granite. 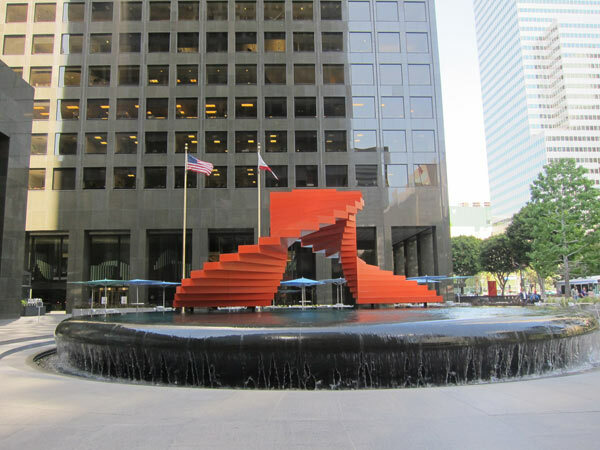 Open to Flower Street directly across from the Maguire Gardens and the Los Angeles Central Library, the plaza is anchored by a 60-foot-diameter fountain which features Double Ascension, a 20-foot high, orange-painted aluminum sculpture created by Herbert Bayer in 1969. Water cascades over the curved rim of the shallow granite bowl into a depressed catch basin, while low steps encircling the fountain provide impromptu seating. 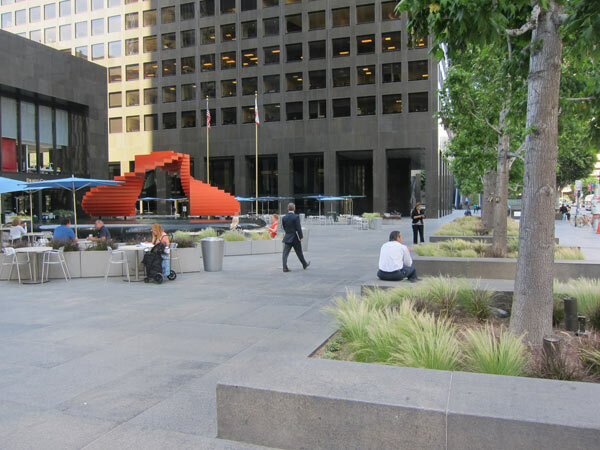 Trees in planters along the edges of the plaza provide shade over benches, while trees planted flush with the sidewalk ring the block. 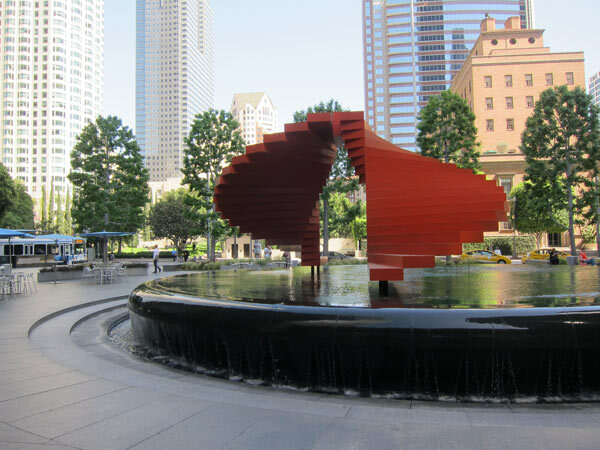 In 2004, the fountain was re-engineered as a kinetic water display by WET Design and the plaza was renovated by Olin Partnership. Conceived as a European piazza, the public space includes movable café seating and translucent canopies extending from the towers. The plaza’s name was changed in 2005 to reflect the south tower’s lease to City National Bank.